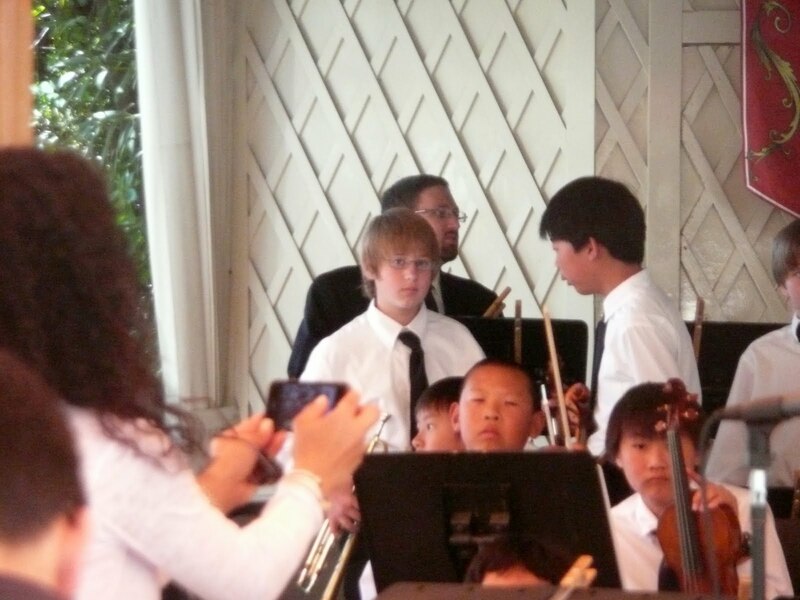 The youngest of my shrubs, Brian, performed yesterday at Disneyland. I dropped him off at the bus and drove myself to the happiest place on earth which, I might add, was FULL of screaming children yesterday. Not just one or two, but it seemed as if every bambino there was sad. It would be so easy to say 'MY children never cried and screamed in public' but that would be a slight exaggeration. So I won't say it. I will say that only one of my three was a screamer....and that was only as an infant. But infancy lasts for quite a while when you have a high needs baby. One of my babies wasn't a screamer at all. In fact he was really quiet. However, he was what we like to call 'a bolter'. That child would just up and bolt. His little legs could run so fast....and he was quiet about it. He'd just stand and run. And then we had the easy one. Actually, he may or may not have been easy...but once he was a few hours old, I strapped him on and didn't put him down til he was, like, 28. (which means I still haven't put him down.) His one thing? He didn't (and I am NOT exaggerating) sleep thru the night until he was 10 years old. He probably still doesn't, but now I do so it is all OK.
How'd I get off on that tangent? Oh yeah...I video'd Brian's performance, but all you hear are crying babies. Which is better than wailing cats any day. But the youngest in our family is growing up. I got to the park a little early and rode Pirates and the Haunted Mansion, grabbed a raspberry white chocolate chip cookie (which I later read had 500 calories. In 1 cookie. Which was eaten by 1 person. Me. Arghh.) and listened to the concert. I have since learned that 500 calorie cookies eaten at Disneyland while your child is performing don't count.